Yes, as I wrote last winter, there is no climate gate controversy or global warming scandal in the hacked CRU e-mails. Just desperate global warming deniers tripped up on caffeine. The British House of Commons launched an investigation, and the scientists in question are cleared. You can read the report clearing scientist Phil Jones, whose actions were in question. Here are three central conclusions of the report. “Conclusion 1: The focus on Professor Jones and CRU has been largely misplaced. On the accusations relating to Professor Jones’s refusal to share raw data and computer codes, we consider that his actions were in line with common practice in the climate science community. We have suggested that the community consider becoming more transparent by publishing raw data and detailed methodologies. On accusations relating to Freedom of Information, we consider that much of the responsibility should lie with UEA, not CRU. Conclusion 2: In addition, insofar as we have been able to consider accusations of dishonesty—for example, Professor Jones’s alleged attempt to “hide the decline”—we consider that there is no case to answer. Within our limited inquiry and the evidence we took, the scientific reputation of Professor Jones and CRU remains intact. We have found no reason in this unfortunate episode to challenge the scientific consensus as expressed by Professor Beddington, that “global warming is happening [and] that it is induced by human activity” It was not our purpose to examine, nor did we seek evidence on, the science produced by CRU. 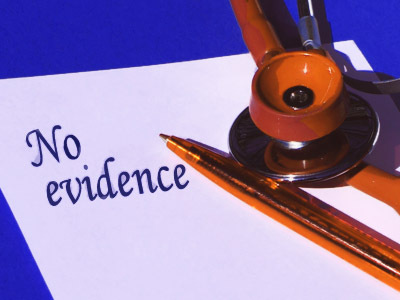 It will be for the Scientific Appraisal Panel to look in detail into all the evidence to determine whether or not the consensus view remains valid. You can download it here. A few highlights (although not surprising to anyone who follows the science) is that the rate of global warming has not slowed down in the last decade, and that the year 2010 will likely set a new global temperature record. The full article by the AP’s John McFarland can be found here. A couple of paragraphs below sum up this one. “Al Armendariz, the EPA’s regional director over Texas, said the agency is confident the finding will withstand any legal action. He also said the move isn’t surprising considering Texas’ pattern of opposition to the EPA. 13 government agencies led by the NOAA have put out a comprehensive report titled “Global Climate Change Impacts in the United States” which spells out a lot of the effects of a changing climate that we face over the next 100 years. There are different projections based on whether or not emissions continue to rise as they are now, or whether certain degrees of action are taken. You can find the report here. The report also breaks down the impact on different regions of the country. The significance of such a report is that the last serious one to come out was in 2000. The Bush administation clamped down on any serious in depth national assessments actually being done or released. The Washington Post has an article out today about this report, and there are some noteworthy lines I want to repeat.